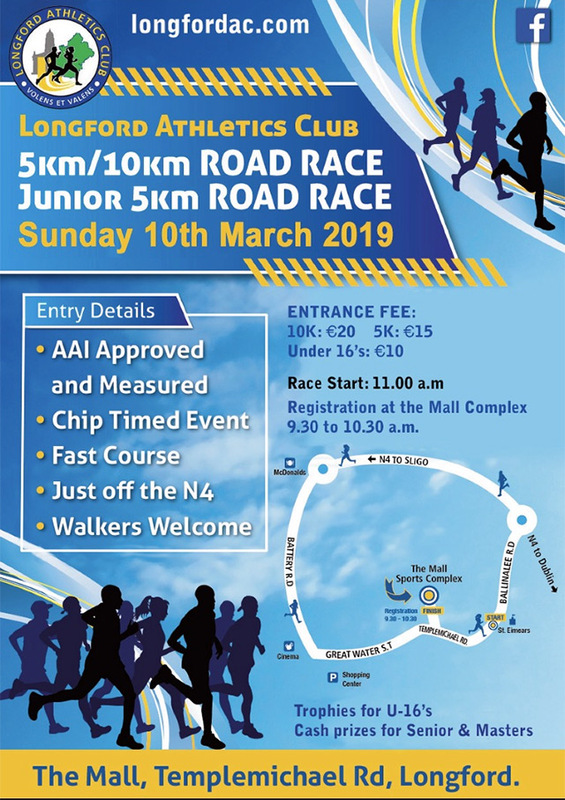 Fionnuala Britton has confirmed she will run in the Annual Longford AC 10K race on Sunday March 10th. 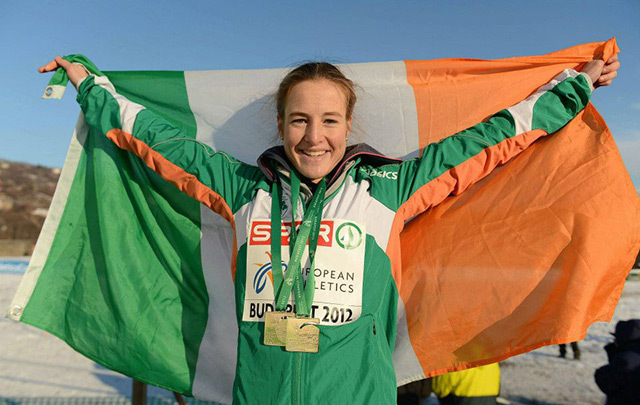 The 3 time Irish Olympian and European Cross Country Champion is in training for the elite field of the Boston Marathon. Distances: 3rd/4th Class 1000m, 5th/6th Class 1200m. AND Senior Leg 1 Senior league, women and O65 men 4km, men 8km, start time approx. 1.30pm women, 2.00pm men. From the AGM in 2017 it was decided to include a separate masters club team category alongside the open team category. It was felt that the age for the masters would make a better competition if it were increased to 40. When entering the League athletes must declare their category and then they cannot change it for the rest of the competition and they are only eligible to point in that category. All athletes must be over 18 to run in the league. Men over 65 can choose to run 4km as an individual or 8km to point for a team. Novice- must not have previously won an individual medal in the Connacht competition. Senior/Open- must be over 18. Masters- over 40. No entry on the day. AND Senior Leg 2 approx. 2pm women (likely in conjunction with the U18’s), 2.30pm men. Same info as Leg 1. No entry on the day. AND Senior Leg 3 approx. 2pm women (likely in conjunction with the U18’s), 2.30pm men. Same info as Leg 1. No entry on the day.